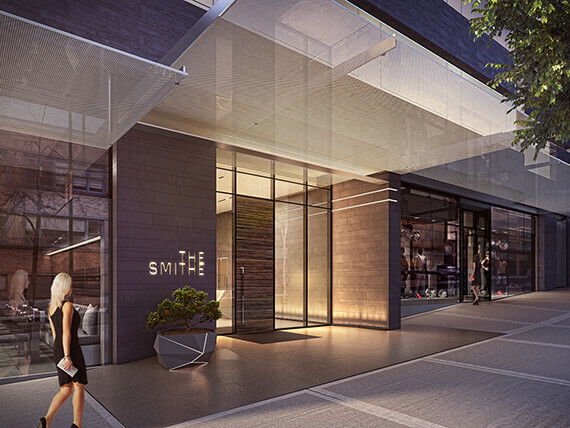 The Smithe is a new condo development by Boffo Developments Ltd. currently in pre-construction at 225 Smithe Street, Vancouver. The development has a total of 107 units.Boutique developer Boffo Developments Ltd. is preparing the launch of sales for their first-ever downtown condo tower, called The Smithe. The building will have a mix of two and three bedroom residences, along with office and retail space on the lower floors. Plans for call a restaurant on the corner of Smithe and Cambie streets.